When you are planning to sell your computer, you may need to format your hard drive. Formatting a hard drive means to delete all the data in the hard drive. It will erase the hard drive completely. It sounds complicated, but it’s not that difficult to do. Below is the tutorial on how to format a hard drive. Note: Don’t forget to back up your important data before formatting the hard drive. 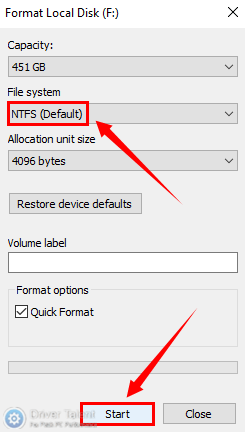 To format a hard drive in Windows, there are two methods for your choice. Select the one you prefer. Step 1. Launch the File Explorer (previously known as Windows Explorer) or double click on This PC on your desktop. Step 2. Find the hard drive that you want to format and right click on it. Step 3. Select Format… from the pop-up menu. Step 4. Choose the file system according to your needs and click on Start to format your hard drive. Click on OK if a confirmation prompt pops up. It will take a few seconds to complete the formatting process. It depends on the size of your hard drive. You will receive a notification once the process is completed. Step 1. Right click on the Start button and select Disk Management to open it. Step 2. Right click on the hard drive that you want to format and select Format… from the pop-up menu. Step 3. 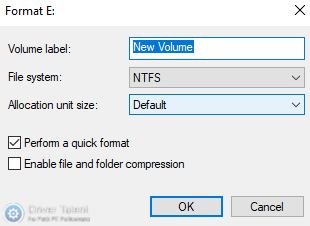 Give your hard drive a name and select the file system according to your needs. Then click on OK to format your hard drive. 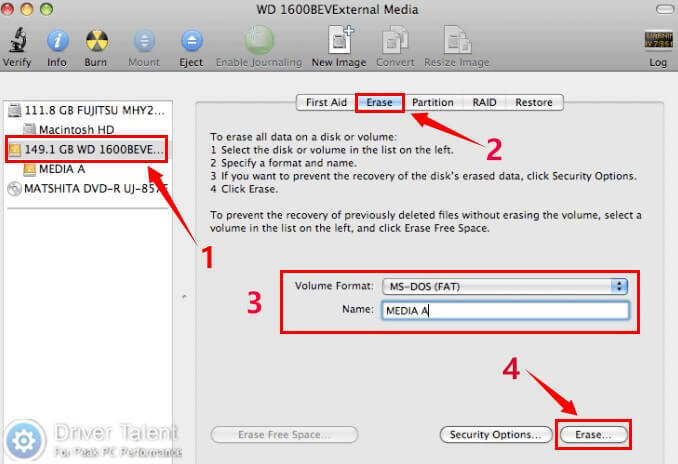 To format a hard drive on a Mac, you can follow the steps below. Step 1. Launch Finder and access to Applications > Utilities. Then double click on Disk Utility. Step 2. Select the hard drive that you want to format in the left sidebar. Step 3. Get to the Erase tab in the right sidebar. Step 4. Give your hard drive a name and select the file system according to your needs. Then click on the Erase button to format your hard drive. That’s all. Formatting a hard drive is not as difficult as you might think. If you need further assistance, leave comments below to let us know.